Home » AWMB Inspiration » #AWMBinspiration…Day 3…Annie Zaidi! Annie was the first South Asian and Muslim woman in her region to get a level two coaching certification badge from the Football Association. 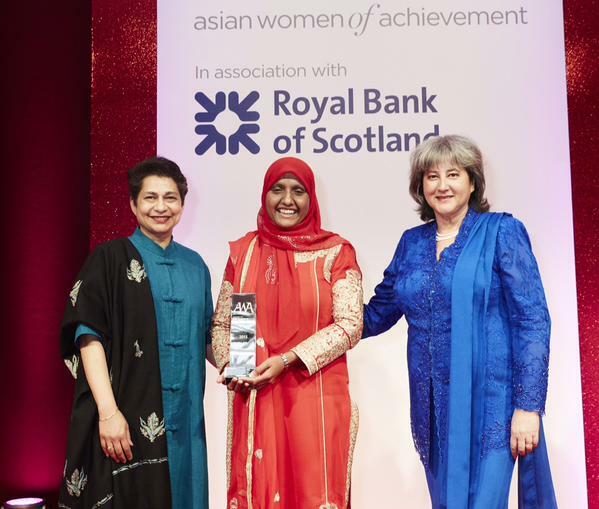 After previously being mentored by BACA, the Black and Asian Coaches Association, she became the organisation’s chair in January of this year and is also an ambassador for Sporting Equals. Annie was the recipient of Asian Woman of Achievement – Sport this year. Being an Asian Female Coach, I dont have anyone who inspires me within the game, simply because there isn’t anyone who has shared similar experiences to myself on my coaching journey. Therefore being who I am, in regards to my identity inspires me. To constantly work hard, set my goal high & know that no matter how many times I get knocked down, I continue to get myself back on my feet. I believe the reason why I am very head strong and determined women is because football is predominately a male dominated sport so being me, I need to work extremely hard to achieve my goals. The next generation of Asian Girls also inspire me not to quit, despite the many knock backs I have and still am experiencing but to remain focused in achieving my goal, as I now have the responsibility to make sure I am that coach who they can relate to, but also help support their development as aspiring football coaches.